for more about our milestone anniversary. Today, as we celebrate 20 years of building trading software for our customers, I thought it was worth a look back at how the industry, and subsequently TT, has evolved over the past two decades and take a look at what’s ahead for our customers and TT. 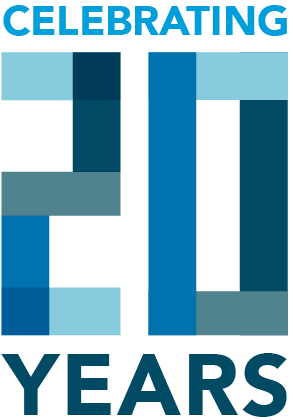 On this date 20 years ago, we were founded in Frankfurt, Germany when nearly all trading on futures markets was conducted via open outcry. Access was extremely limited, and the ability for people to realize the benefits of listed futures, namely accurate price discovery and risk management, was limited to a select few. A couple years later we launched Autospreader®, and it was an immediate success. Autospreader allowed, for the first time, the ability to define, manage and execute synthetic spreads on a single market or across multiple exchanges. It was for many in this industry the first taste of automated execution and helped lead this next major evolution in the industry. Not long after this, the real race toward zero latency began, and TT responded in kind with its suite of Strategy Engine server-side platforms for ultra-low-latency trading. In lockstep with this constantly evolving industry, the growth of our company continued as we built more products, launched more exchange gateways, opened offices around the world and launched TTNET™. But as the company and our flagship platform, X_TRADER®, began to grow in size, it also became a ship that was far too difficult to turn. Nearly 18 months ago, I wrote about how these challenges caused the pace of innovation at TT to slow down over recent years. I discussed how, early on, the industry had come to expect TT to provide solutions that it didn’t even know it needed, and that in recent years we had not been meeting those expectations. I also said that in order to fix this problem, we realized we needed to start from the ground up—to build a foundation that would give us the ability to innovate quickly, not just initially but constantly, as this ever-changing industry continued to evolve. While the execution would be challenging, the goal was simple. We needed TT to return to doing what it does best: building for what’s next. I’m happy to report that this hard work is about to pay off. At the FIA Boca conference in March, we unveiled for the first time the next-gen TT platform. In addition to providing our end users with unprecedented performance, stability and accessibility, it also provides TT with the foundation we need to allow us to remain nimble in the midst of such an unrelenting pace of change. Recent innovation at TT extends beyond just our products. In addition to our new platform, we launched a new brand identity and unveiled our new Chicago office space. We’ve developed a new recruiting process to accompany an entirely new summer internship program. And we continue to connect with more of the next generation of financial and software professionals as we recently passed the 50 school mark in our University Program. As we look back once more, we want to thank all of our customers and clients for their business and loyalty to TT. And thank you to all of our employees across the globe for your many years in helping TT reach this milestone. We hope TT can continue to be at its best while building for what’s next.